The fact is, when I started writing this book the World Trade Center had just toppled. And it was only a little more than a year ago that I got a contract from a publisher. You can do the math. No, I wasn’t writing continuously for 17 years. Hardly. There were long periods, years, when I wasn’t writing. Also many months that piled up where I was tinkering, rereading, revising the same opening chapters, or times I struggled to revive the initial excitement I had for the book. There were many drafts sent out to beta readers and my writers group, notes gathered, revisions completed. There were months spent looking for an agent, acquiring one, and then waiting to hear back from publishers as my agent submitted. So, yes, oh yes, it did take a very long time to complete the bloody thing. And yes, I would say I am a bit sensitive about it. Hence my aversion to THAT question. You might think I was writing an epic Leon Uris-type tale with numerous characters, time periods, locations, and complex story threads requiring comprehensive, time-consuming research. Well, think again. My novel’s story, inspired by the real-life missing child case of Etan Patz in New York City back in 1979, was created from my imagination. It begins six years after the day fictional ten year-old Sophie Albright disappeared from a shopping mall, never to be found. Her mother has had no sense of closure and is living in a self-destructive limbo. Her daughter’s best friend carries her own secrets about that dramatic day, and these two wounded souls come together to follow clues left by Sophie in her birding journals that they hope will lead them to answers. It’s not a literary tome, but a compelling, mysterious, and, hopefully, engaging story. I never intended for this project to take close to two decades to complete. My plan was to write the novel in a few years, acquire a literary agent who would sell it to a mainstream publisher, get a respectable advance and decent reviews, then send it out into the world to be read and enjoyed. But as John Lennon famously repeated in his lyrics to his song “Beautiful Boy”: Life is what happens to you while you’re busy making other plans. Sure, life with its unexpected challenges unfolded. Work, a move out of New York City to a small town, relationships that blossomed, others that wilted; more moves, more work. There were money and house issues and intense stress while caring long-distance for elderly parents. There were deaths and grieving. Life’s peaks and valleys, beginnings and ends. Meanwhile, friends’ books were published. I attended their readings, drank glasses of wine, purchased their books and had them signed with personal inscriptions. Competitive jealousy reared its head. But still, during all this life, I wrote or attempted to write in the quiet spaces in between. I’m a freelance book editor and must establish balance between my paying work life and my writing life, but it’s always been a huge challenge. Always. Huge. There were productive artist colony stays, self-arranged retreats, and snatched moments like solo walks in the woods or cafe visits with pen and notebook. There were also periods where new novel ideas spilled out or when I worked on personal essays that got published. And there was that chunk of dry years when I felt like a vampire and my novel was warding me off with a cross. Toss together lack of writing time, periods of self-doubt, fear of rejection and even success, and what I ended up with was writing grid-lock on the highway to my completed novel. Part of the insecurity came, no doubt, from the passes I received from publishers for my previous novel, my first. I’d written that one—a light, fun, romantic story—in far less time, and had an agent who went about submitting it. What felt at the time like intense failure took its toll, and into the drawer that novel went. But in my own time, little by little, I was able to push on, navigate through and around the obstacles, and find the route that worked best for my Sophie story. Slow but steady. So maybe instead of asking what took me so damn long to complete the book, the more important questions should be: How does one stick with a project in spite of life’s challenges? How does one push through writer’s block? How does one not lose faith? How do you just keep on going, putting pen to paper, fingers to keyboard, in spite of everything? For me, I knew deep down that I would never give up. My writing is who I am, it’s my soul. I never worry “Will I write again?” or “Will I finish this project?” or “Will I ever have another idea?” I know in my bones I will. I have an inner faith and strong sense of perseverance even when I have flashes of hating the process or the pages. I know who to go to for support, which writer friends will tell me what I need to hear. I know it’s useful to take those long walks, or go on writers’ retreats for solitude and deep thinking time. Or to step away from a project, for months or longer when needed. And when there are times when my confidence wavers, or I’m not inspired to work on my story, I remind myself of that spark that first got me going. I read back through old journals. I take deep breaths. I read other books for inspiration. I wait if I must, for as long as I need to. I give myself permission. After one of my long hiatuses, Sophie and her crew started whispering in my ear once more, and I found I was ready to go back to the novel. And the story morphed yet again, as stories usually do. Paper drafts piled up, back-up hard drives filled. I hired a professional freelance editor to critique the draft, which was helpful. The book was coming together. I was getting closer. Finally, I had a draft I was happy with. I acquired an agent, submissions began, as did the waiting game. But publishers respectfully passed. And after working together for over two years, my agent and I parted ways. But I wasn’t going to give up this time. I didn’t want all those years of work to end up in a drawer yet again. I researched and approached a number of small indie presses, and to my surprise landed numerous contracts. I read up on them, spoke to authors who’d published with them, and chose one. Maybe not with the mainstream publisher or big advance I once dreamt of, but with a publisher who loved my book and put good writing first. Happily, I signed a contract, and went through more editing with their in-house editors. The publisher came up with a more marketable book title. A designer created a lovely, evocative book cover. 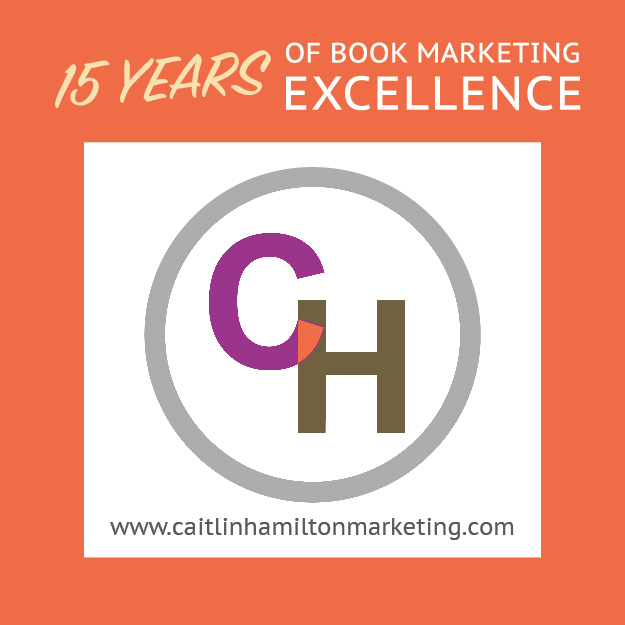 Author friends were approached for blurbs, an author website created, and on-line marketing began. My novel was to be published at last. I had stuck with it, saw it to its completion; and that in itself felt extremely satisfying. I recently moved and was going through some boxes of old writing. I came across a contributor’s copy of a literary journal from the 90’s. Of course I remembered the story I’d published in it— about a mother who’d lost her daughter to a sink hole and how she filled the gaping hole in her heart with junk she bought at yard sales and flea markets. Reading it after all this time, I was shocked to see how much my Sophie novel mirrored the story. I’d considered the story to be an early jumping off point for the novel, but it was more than that. It was a blueprint, down to the same junk the mother hoarded, the same name of the missing daughter. I also found notes in that box about a dream I’d had some years later while working on the novel at an artist colony in Maine, a dream I’d totally forgotten about. The dream told me the hidden meaning of my novel: Sophie represented my own missing child, the one I never had. Maybe it should have been obvious to me all along. After all, I’d been writing about loss and grief for years. But it wasn’t obvious to me. Back when I had the dream, it was a revelation that this “baby,” my novel about a missing daughter, actually represented my ambivalence, buried deep in my subconscious, about my own childlessness. But after jotting it down on a scrap of paper, I quickly shoved it out of sight and mind until stumbling onto the moving box. Seeing it again, all these years later clarified it all. My “baby” simply didn’t want to come out until it was good and ready. It finally makes sense to me. Normal life had taken its toll on my writing journey, but my subconscious had hijacked the novel, turning it into one super protracted pregnancy. Maybe writing the book was cheaper than years of therapy, but I’m not sure which method would have been quicker. Looking back, there were fleeting moments of ecstatic writing pleasure, when I knew I nailed a sentence or brought myself to tears with a scene that produced the precise emotion I was going for. That feeling of gratification is just enough to make me want to do the whole damn thing again, with a new story and new characters, no matter how long it will take. And now, my novel has finally been published: reviews are coming in, and people are actually buying and reading my book. When I’m asked how long it took me to write, I’ll just say, It took as long as it needed; thanks for asking. Tags: Etan Patz, Marlene Adelstein, Red Adept Publishing, Sophie Last Seen. Bookmark the permalink. Thank you for your lovely, touching story. It reflects my own journey with my book, now published, as well. Your insights explain so much about my own motives as a writer. Thank you so much. Thank you, Marianna. Maybe we need to get those people off the ‘how long did it take you’ question quickly and slide into what your book is about which is more important and interesting! Thanks for reading and glad you can relate. Hang in with the writing journey. And your book does sound fascinating! As a writer myself, I can certainly relate to the starts and stops in the writing process. I admire the author for her perseverance, and look forward to reading the book. It helps to know that others struggle with bringing their ‘babies’ forth into the world, and the creation takes as long as it takes. I’m a painter, too, and the question I’m most frequently asked is also, “How long did it take you?” I smile quietly and tell the questioner I just keep working until it’s finished. Would it make any difference if I said an hour? How about a year? I love Adelstein’s answer: It took as long as it needed; thanks for asking. I love your answer, too. “I just keep working until it’s finished.” That says it all! Good luck with your writing and painting! As long as it needed: yes. I can trace the origins of my current nonfiction work-in-progress, about scientific literacy, back to 1988. I suppose an extended deep dive into the idea might have moved things along, but that wasn’t practical, and I’ve realized that it’s the connections between science and life-as-lived that compel me: experience and story, not research or statistics or analysis. I recognize that sense of a book needing to be lived in order to be written–even if what’s happening on the page seems to have nothing to do with everyday life. Yes, exactly. Some books do need to be lived…even if what’s happening on the page is seemingly not related to your life! Good luck with yours.